Accessories - Valley Oak Wheel Hoe Attachments. 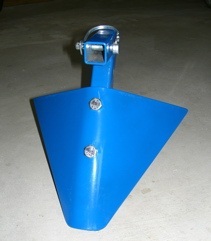 Add a larger or smaller blade to your wheel hoe with a new blade assembly. 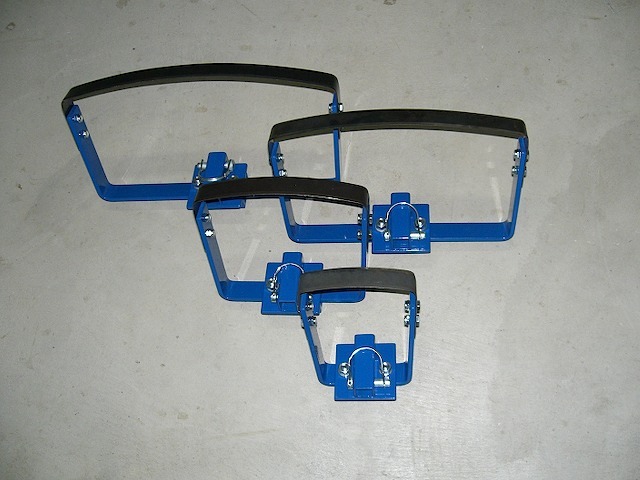 You can easily attach or remove the blade assembly with a single pin to switch sizes. No tools needed. Click Order Now link below for sizes and prices. This pocket tool "peels the steel" with a carbide insert. 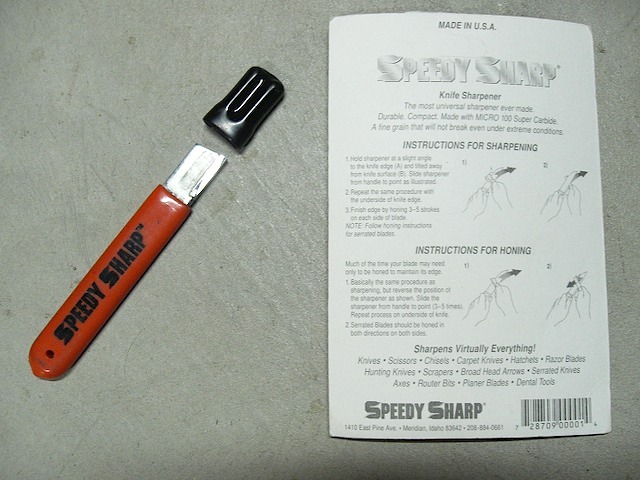 It is great for knives as well as wheel hoe blades. It is really fast, so be careful not to remove too much material. 24"-long square steel tube is ideal for driving support stakes into the ground for tomatoes, peas, beans and other climbers. 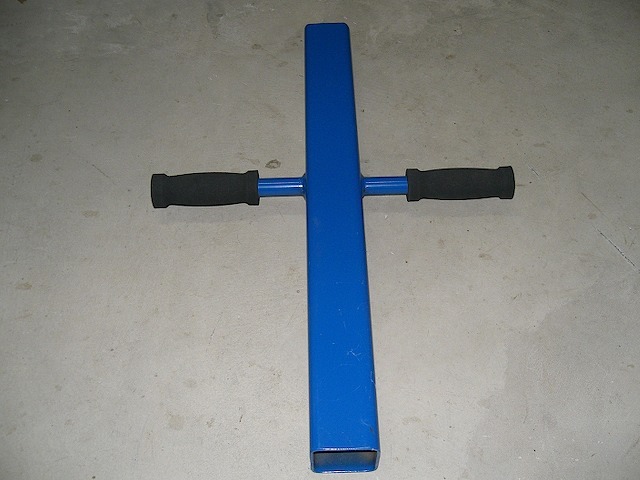 Tube with end cap slips over stake and rubber handle grips provide easy two-handed pounding operation to prevent injury to your fingers and damage to the stakes. 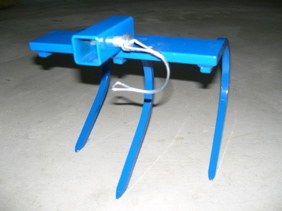 The 3- or 4-tine cultivator is great for breaking crust or going deeper to loosen soil. Both are 8" wide.